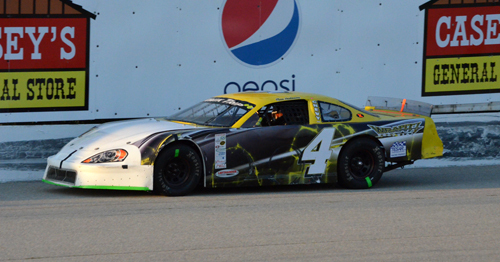 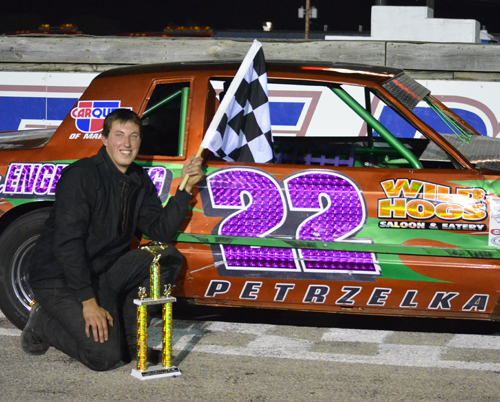 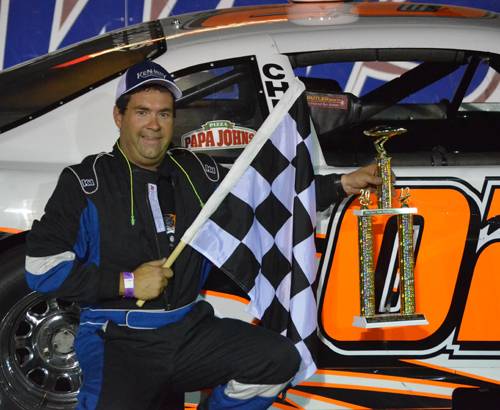 Brian Gibson won the Sportsman season championship feature at Hawkeye Downs Speedway on Friday night. 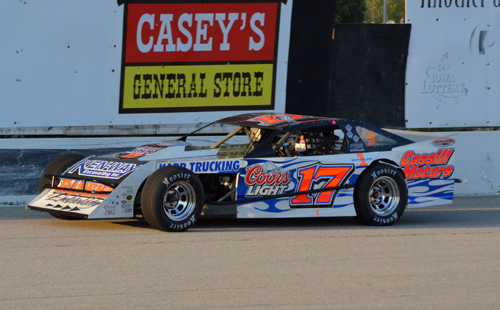 Gibson would also clinch the point's title in the Modified division. 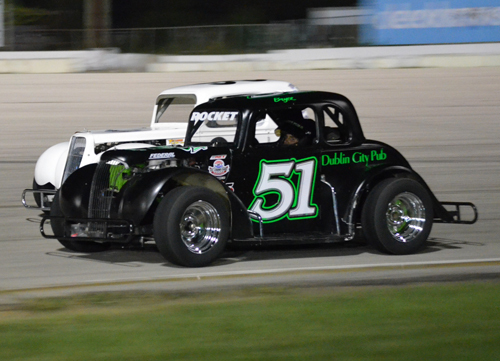 Bryce Bailey (51) stays to the inside of Kevin Korsmo during the Legends feature at Hawkeye Downs Speedway on Friday night. 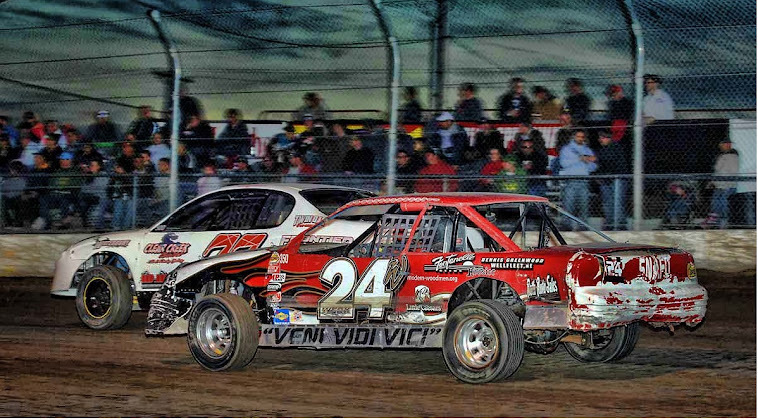 Bailey would hold Korsmo off for the victory. 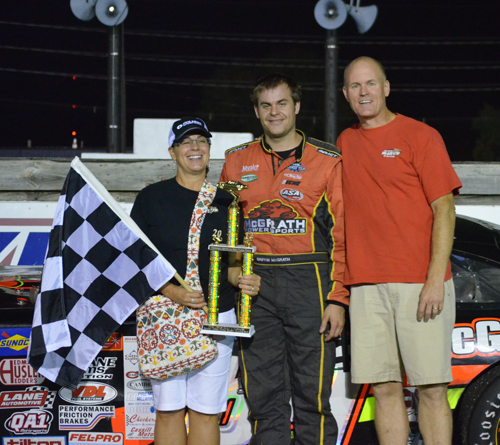 Griffin McGrath is joined by his family after winning the Late Model season championship feature at Hawkeye Downs. 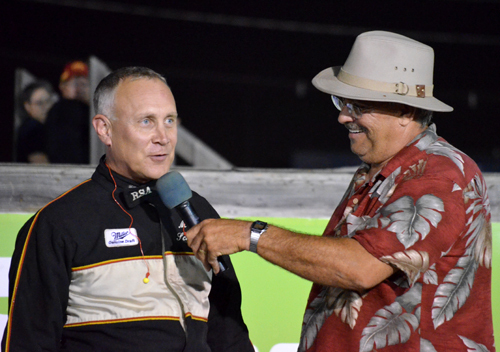 Multi-time Modified point's champion Mike Schulte of Norway, Iowa, is interviewed by race director Mike Becker after winning the 20-lap Modified feature. 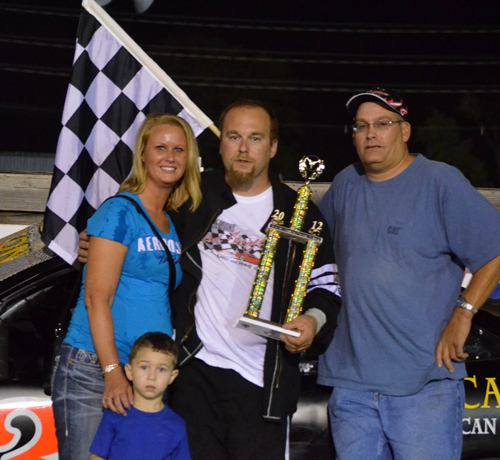 Shane Hanson earned a hard-fought victory in the Hornet season championship feature on Friday night. 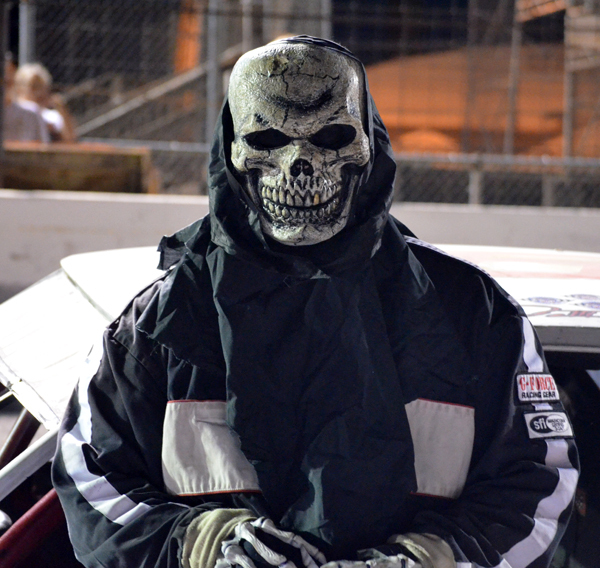 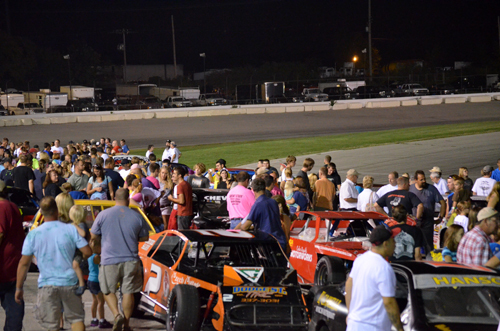 During intermission, young race fans trick or treated as drivers handed out candy and signed autographs. 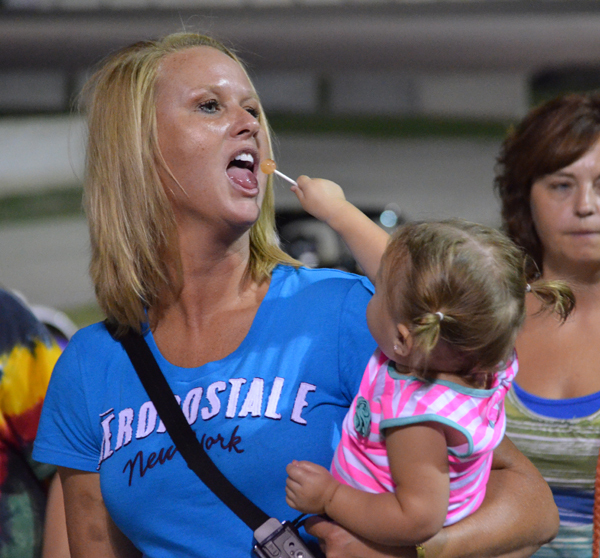 This grateful mom reeps the benefits as her daughter offers up some of her sucker. 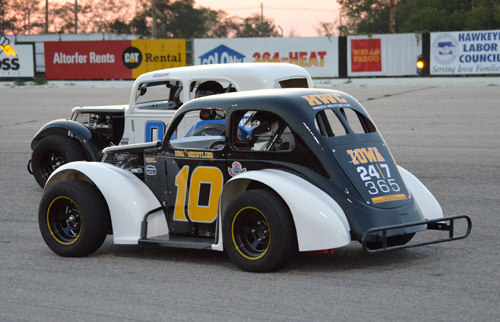 Former University of Iowa wrestler Mark Ironside caught the racing bug earlier this season and has been competing weekly in the Legends division. 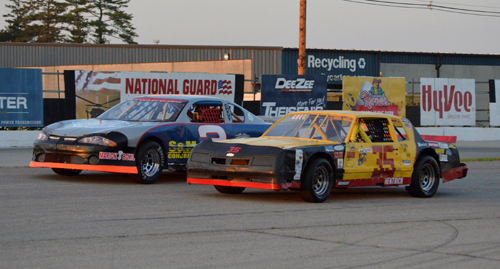 He makes his move past a fellow competitor during heat race action.